How to Drive Safely in the Florida Rain – Diana I. Castrillon, P.A. When the road is wet everything changes. You can’t see. You need more response time. The rules you drive by have to change. If you try to drive the same way you do when it is dry and sunny, you put yourself at risk for accidents. There are thousands of serious car accidents every year that are the result of unsafe driving in the rain. When it’s raining it isn’t necessary to stay home. With a few changes to the way you drive when it’s raining will ensure your safety so you don’t have to worry. First, slow down. There are many benefits to slowing down in the rain. Slowing down gives you more time to react to a perilous situation and decreases the seriousness should you have an accident. It is hard to see when it is raining. Water on your windshield combined with the lights of other vehicles may be confusing. A little extra time to access what you are seeing can be the difference between a serious accident and safety. Keeping a safe distance between your car and the cars around you is another way to give yourself more time to react. Slow down so that you are not following the car in front of you too closely. And pay attention to the cars behind you as well. Second, stay away from extra water. Driving through puddles or around large trucks and busses puts even more water on your windshield. The more water blocking your view, the more danger you are in. Try not to get too close to trucks or busses that are kicking up the water off the road. If you must pass them try to do it quickly and watch the lines on the road rather than the water being sprayed up. Splashing through puddles does not only decrease your visibility but can also cause mechanical problems. The worst that could happen is that water is taken in through the engine’s air intake and destroys the engine. Make sure your vehicle is in the proper shape to handle the rain. Regularly replace wiper blades so you have maximum visibility. Headlights should be in working order so that you can see, and others can see you. Understand what your vehicle can handle. Don’t drive through a deep puddle unless you know that it will not affect the mechanical aspects of your vehicle. A good rule of thumb is to make sure that the water stays beneath the doors of your vehicles. 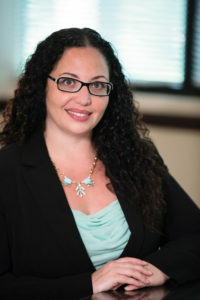 Finally, if you are injured in a car accident, contact Florida auto accident lawyer Dianna Castrillon at the Injury Law Clinic to make sure your rights are protected.